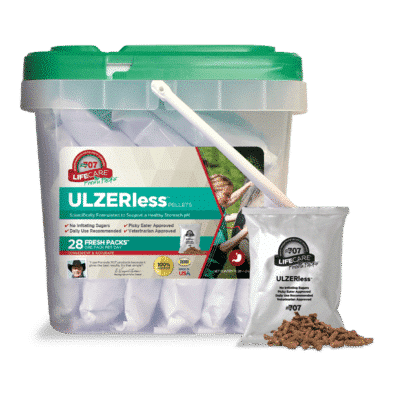 Formula 707® LifeCare® ULZERless is now available in Daily Fresh Packs! Glutamine supports mucus production, licorice root encourages stable gastric acid levels, zinc promotes a healthy stomach lining and grapeseed aids in the reduction of inflammation. Naturally palatable (even to picky eaters! ), without irritating sugars. No syringes, no side effects, and veterinarian approved.